We make it easy for government customers to work with ECS. Federal civilian, defense, and SLED (state, local, and higher education) agencies have access to a wide range of contract vehicles. We develop strategies to help meet each customer’s unique requirements. 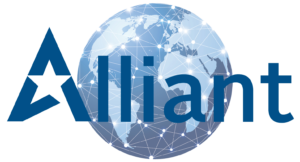 ECS Federal, LLC is proud to be a partner on Alliant, GSA’s premier enterprise GWAC, which provides flexible access to customized IT solutions. The Alliant Contract can be used by any Government agency looking for access to IT solutions such as systems design, software engineering, information assurance, and enterprise architecture solutions. The aggregate ceiling value over a 10-year period of performance, which began in May 2009, is $50B. Please contact our PMO at gsaalliant@ECStech.com to discuss opportunities and access to GSA Alliant. 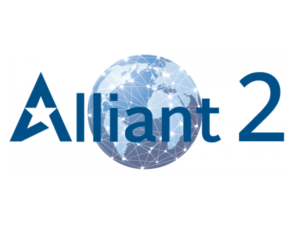 ECS is proud to be a partner on Alliant 2, GSA’s premier enterprise GWAC, which provides flexible access to customized IT solutions. The Alliant 2 Contract can be used by any government agency looking for access to IT solutions such as systems design, software engineering, information assurance, and enterprise architecture solutions. The aggregate ceiling value over a 10-year period of performance, which began in July 2018, is $50B. Please contact our PMO at alliant2@ECStech.com to discuss opportunities and access to GSA Alliant 2. Quality control and continuous improvement are key to ECS’s successful record of cost, schedule, and functional compliance. ECS is a registered ISO 9001:2015 , ISO/IEC 20000-1:2011 , ISO/IEC 27001:2013 and ISO/IEC 20243:2015 company and was successfully assessed at Software Engineering Institute (SEI) Capability Maturity Model-Integrated (CMMI) DEV and SVC Level 3. One Acquisition Solution for Integrated Services (OASIS) is designed to address agencies’ need for a full range of service requirements that integrate multiple professional service disciplines and ancillary services/products with the flexibility for all contract types and pricing at the task order level. OASIS is a family of seven separate Government-wide Multiple Award, Indefinite Delivery, Indefinite Quantity (MA-IDIQ) task order contracts. The Chief Information Officer-Solutions and Partners 3 (CIO-SP3) Government-Wide Acquisition Contract (GWAC) is a ten (10) year Indefinite Delivery/Indefinite Quantity (IDIQ) contract. This contract is intended to provide information technology (IT) solutions and services as defined in FAR 2.101(b) and further clarified in the Clinger-Cohen Act of 1996. These IT solutions and services include, but are not limited to, health and biomedical-related IT services to meet scientific, health, administrative, operational, managerial, and information management requirements. The contract also contains general IT services, partly because medical systems are increasingly integrated within a broader IT architecture, requiring a systems approach to their implementation and a sound infrastructure for their operation. Chief Information Officer Commodities and Solutions (CIO-CS) is an OMB designated Best In Class, multi-award Government-Wide Acquisition Contract (GWAC) administered by the National Institutes of Health Information Technology Acquisition and Assessment Center (NITAAC) within the Department of Health and Human Services (HHS). With a $20B ceiling, CIO-CS offers a flexible contract design to support all federal agencies and approved federal contractors in the streamlined planning, acquisition, and deployment of enterprise IT commodity requirements. 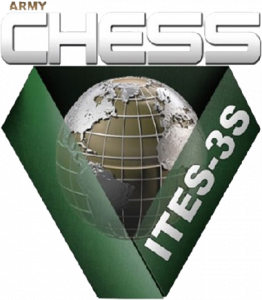 ITES-3S is a Multiple Award Indefinite Delivery Indefinite Quantity Contract. The scope includes a full range of services and solutions necessary for the Army to satisfy its support of the Army Enterprise infostructure and infrastructure goals with IT services throughout CONUS and OCONUS locations, including warzone areas. The scope includes the Command, Control, Communications, Computers, and Information Management (C4IM) requirements as defined in Army Regulation 25-1 (AR 25-1). Additionally, ITES-3S will include the services and solutions necessary for the Army and other services to transition from current service-centric information environments to the enterprise JIE as directed by the DoD CIO. ECS is proud to be a DISA ENCORE III Full and Open Suite IDIQ prime contractor. ENCORE III Full and Open Large Business Suite is available to provide a full range of information technology (IT) services and solutions required by the Department of Defense, other Federal agencies, and the Intelligence Community (IC). The contract ceiling value over a 10-year period of performance, which began on March 12, 2018 is $17.5 Billion. The scope of this effort includes support to all activities within the DoD. Other Federal agencies may utilize this contract to satisfy their IT requirements after making the appropriate Economy Act Determination, if applicable, in accordance with Federal Acquisition Regulation (FAR) 17.5. IT solutions encompass a range of capabilities from old legacy systems to new, emerging IT solutions. As a result, the contractor shall assist the government in providing IT solutions for activities throughout all operating levels of all customer organizations in support of functional requirements including Command and Control (C2), Intelligence, and Mission support areas, and to all elements of the JIE. The contractor shall assist the government by furnishing personnel, materials, facilities, travel, services, managed services, and other items needed to satisfy the worldwide development, deployment, operation, maintenance, and sustainment requirements of DoD and its customers. Our ENCORE III team is comprised of leaders in the industry that provide a diverse set of services, customers, and capabilities across the DoD IT consortium. Team ECS provides effective command and control and IT solutions that focus on processing and disseminating actionable information from senior decision-makers through the tactical level warfighters. Our select group of IT industry partners for ENCORE III will enable rapid delivery of capabilities and solutions to DISA and users of the ENCORE III contract in the most efficient and cost-effective manner. Our list of partnering subcontractors will be announced in the future. Solutions for Enterprise-Wide Procurement (SEWP V) is an OMB designated Best In Class, multi-award Government-Wide Acquisition Contract (GWAC) managed by the National Aeronautics and Space Administration (NASA). With a $20B ceiling, SEWP is available to all Federal Agencies and is focused on Information and communication technology products, in addition to product-based services, such as installation, training, maintenance, and warranty. 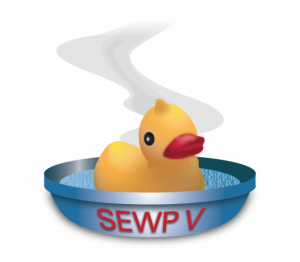 SEWP V contracts offer a wide variety of IT products and product-based services through a dynamic catalog based on customer requests. Network-Centric Solutions-2 (NETCENTS-2) is a $960M Indefinite Delivery Indefinite Quantity (IDIQ) contract vehicle managed and utilized by the United States Air Force (AF). NETCENTS-2 provides a streamlined, enterprise-supported contract vehicle that enables the consolidation of many existing base-level contracts for Operations and Maintenance (O&M) activities. In addition, NETCENTS-2 supports the re-engineering and modernization of legacy systems through the rapid, incremental delivery of solutions, enabling improved day-to-day operations and warfighting mission execution. NETCENTS-2 Application Solutions consists of services to sustain, migrate, integrate, re-engineer and expose Mission Applications for secure access by authorized users, by establishing web and NetCentric services, to include help desk, testing and operational support, in legacy and NetCentric enterprise environments. The U.S. Army has awarded Program Management Support Services Three (PMSS3) to ECS Federal, LLC (ECS), PMSS3 is a $461 million multiple award, Indefinite Delivery Indefinite Quantity (IDIQ) contract vehicle that provides a full range of innovative, world-class support services and solutions to the Army Program Executive Office Enterprise Information Systems (PEO-EIS) headquarters, project/product offices, and related organizations. PEO EIS, Operations Directorate (OD), Contracts Analysis and Compliance Division (CACD), manages the contracts, in coordination with the Army Contracting Command – Rock Island (ACC- RI) and other Government contracting offices. Through the use of PMSS3, users have a flexible means of obtaining support service needs quickly, efficiently, and cost-effectively. Ordering under the contracts is decentralized, and is authorized to meet the needs of PEO EIS. Seaport Next Generation (NxG) is a $10B multiple award, Indefinite Delivery, Indefinite Quantity (IDIQ) contract vehicle managed and utilized by the United States Navy to acquire professional support services, including Engineering and Program Management. The Navy Systems Commands (NAVSEA, NAVAIR, SPAWAR, NAVFAC, and NAVSUP), the Office of Naval Research, the United States Marine Corps, and the Defense Threat Reduction Agency (DTRA) compete for their service requirements amongst 1800+ SeaPort-e IDIQ multiple award contract holders. The government estimates a maximum of $5.3B of services will be procured per year via orders issued under the SeaPort-e multiple award contracts given to small businesses. The contract award has a four-year base period with one five-year award term and one additional one-year award term. To meet or exceed customer expectations and requirements for IT services and management solutions. To maintain a highly trained and qualified workforce focused on quality, service delivery, and customer satisfaction. To establish and maintain proven and repeatable processes designed to ensure the on-time delivery of high-quality and cost-effective IT services and management solutions to ECS customers. To establish and maintain a program to proactively identify opportunities for leveraging technology and resources, as well as implementing continual improvement. Quality control and continuous improvement are key to ECS’s successful record of cost, schedule, and functional compliance. ECS is a registered ISO 9001:2008 and ISO 20000-1:2011 company and was successfully assessed at Software Engineering Institute (SEI) Capability Maturity Model-Integrated (CMMI) Level 3. Process Improvement, Re-engineering, Management and Data Support Services 2 (PIRDMS2) is an $809M Multiple Award, Indefinite Delivery, Indefinite Quantity (MA-IDIQ) contract vehicle managed by the Naval Supply Systems Command (NAVSUP) Business Systems Center (BSC) in support of the Navy Enterprise Resource Planning (ERP) system. NAVSUP BSC works to provide tactical information technology support and oversees the development, maintenance, implementation and integration of business systems for the service branch, joint service, DoD and other federal agencies. Army Cloud Computing Enterprise Transition (ACCENT) is a $249M Basic Ordering Agreement (BOA) awarded by the U.S. Army Program Executive Office (PEO). Available to all DoD organizations, ACCENT is the Army’s preferred contract vehicle to procure commercial cloud service offerings (CSO), IT technical support, and application modernization services to transition enterprise applications, systems, and associated data to authorized commercial cloud service providers (CSP). ACCENT BOAs allow capability owners to obtain commercial cloud hosting services in any combination of service models, deployment models, and Cloud Impact Level as defined in the DoD Cloud Computing Security Requirements Guide (SRG), along with the transition support and modernization services required to move a systems application to a cloud environment. Cloud solutions also include mobile capabilities to meet any urgent needs in contingency situations. EAGLE II enables DHS business and program offices to accomplish their mission objectives. DHS designed the contract to offer a broad range of services, solutions, and contract types to fulfill the majority of component and departmental IT services needs. ECS provides senior level staff supporting the management, engineering, and operations of TSA’s IT portfolio, including program and technical Independent Validation and Verification (IV&V) support on TSA’s $1B+ IT infrastructure operations contract. Our work covers TSA’s LAN/WAN administration, enterprise messaging platform, UNIX/Oracle production platforms, VoIP, data center operations, emergency response, and Continuity Of Operations (COOP). Engineering services include virtualization efforts using Citrix XenServer and VMWare. For TSA’s enterprise storage, we are assessing EMC and Clarion Storage Area Networks (SANs) to manage increasing volumes of TSA collected data, along with backups and e-mail archives. We are also supporting the transition of TSA’s network to the consolidated DHS WAN, OneNet and data center migrations. ECS provides both tactical (performance management) and strategic (capacity planning) analyses to ensure that all CBP mainframe and distributed computers have sufficient capacity to meet all CBP data processing requirements. ECS monitors current system capacity requirements and coordinates with system developers to determine future requirements. ECS evaluates and recommends technical and cost-effective alternatives for meeting CBP performance requirements. ECS develops capacity management strategies, conducts capacity management studies, and provides systems performance monitoring support. The FEMA TAV System provides visibility into, and command and control of, relief assets and commodities during emergency response activities as well as regular, non-emergency operations. ECS supports TAV systems integration through planning and implementation of new supply chain and logistics functionality, evaluating integration and system testing of legacy TAV Commercial-Off-The-Shelf (COTS) with custom built modules, and ensuring TAV compliance with FEMA and DHS architecture frameworks. ECS duties span across the TAV System Life Cycle to include requirements analysis and traceability, assess proposed TAV design solutions, oversee software development engineering practices, prepare test plans and acceptance criteria, support Enterprise Architecture documentation, support end-user acceptance and training, and solicit and collect user feedback for future TAV enhancements. ECS is implementing a contractor-operated, turn-key solution to design, install, and maintain wireless “hot-spots” for up to 450 temporary students resident in five NETC campus dormitories. During the implementation phase, ECS designed, installed and configured a Local Area Network (LAN); starting with the Internet Service Provider’s (ISP) point of presence, a multi-mode fiber optic network to the dormitories’ individual switches, and 57 Wireless Access Points (WAPs); that was separate and independent of any FEMA networks. ECS will have complete operational responsibility for the wireless network, including subcontracting directly for 10Mbps Internet access bandwidth provisioning; issuance of user ids and passwords; bi-weekly refresh of all user accounts; helpdesk support; monitoring of system faults and restoration to normal operating condition; and detection and replacement of malfunctioning components. ECS transitioned the FLETC Artesia main and range training sites from Time Division Multiplexing (TDM) and analog technologies to a forward-looking VoIP system architecture providing greater functionality, flexibility, and a consolidated operational and management infrastructure. The VoIP implementation provided a unique integration of existing Avaya 8700/8400 Media Servers with a new CISCO multiservice network. We performed the Certification and Accreditation of the new network in accordance with the Federal Information Security Management Act (FISMA). The VoIP system offers 1000 users across 38 buildings telephone, Automatic Call Distribution (ACD), automated attendant, and interactive voice response. The end-state network and technology enable a flexible infrastructure for adopting future converged voice-data services. The FFDO Program arms and trains strategic, non-Federal airline personnel who augment FAMS security assets. FFDO required a secure e-mail and calendaring system that would interface with FAMS Exchange 2003 to allow sensitive and seamless communications between FFDO personnel and FAMS headquarters, but would also segregate the potentially 20,000 FFDO users from accessing FAMS Active Directory (AD) accounts. ECS is responsible for the design, implementation, testing, and support of a scalable FFDO messaging architecture based on Exchange 2007 that provides a web interface for FFDO users to access the FAMS legacy infrastructure, Disaster Recovery (DR) capability, FAMS directory synchronization with the external FFDO Lightweight Directory Access Protocol (LDAP) based directory, and meets all security requirements defined by the FAMS Information System Security Officer (ISSO). An indefinite delivery indefinite quantity (IDIQ) multiple award schedule providing direct access to IT products and services from over 5,000 industry partner. Services are designed to support agencies in streamlining the contracting process by providing a faster, more cost efficient means to meet customer requirements. NASPO ValuePoint is a Cooperative Purchasing Program representing a consortium of procurement officials for all 50 states and the District of Columbia. This Master Agreement authorizes ECS to establish Participating Addendums with the states and/or participating entities within those states in order to provide cloud solutions. The State of Utah is the designated Lead State and procurement authority for this contract. California Multiple Award Schedule (CMAS) CMAS is based on and includes all products and services on our GSA Schedule 70, reference contract GS-35F-0273L. All agencies in the State of California, including all local government agencies, are permitted to purchase from this contract. MEET THE CHALLENGE. MAKE A DIFFERENCE.